By Dale Johnson Posted: September 14, 2017 3:30 p.m. This is it – the first full week of classes. As you get settled in the new academic year, you've probably already realized that there's more to university life than what you may have thought. Click here for information on University basics (food services, parking, bus service, where to buy textbooks, libraries). 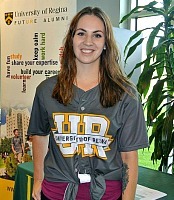 Fourth-year student Nevada Smith credits URegina's student supports for helping her feel at home on campus. URegina has a range of services to support student success, including health and wellness, navigating campus, and preparing for employment. Counselling Services assist students who may have personal issues impacting their studies. Here's some great advice from fourth-year student Nevada Smith: Everyone on campus was once in your shoes. Make use of the University's student resources – they're there for you! Be sure to build in time to unwind. Students get in free to all Cougars and Rams games. Or check out the Events Calendar and take in a concert, guest lecture, or theatre performance. Other resources include the Aboriginal Student Centre, the Global Learning Centre, and the Centre for Student Accessibility. 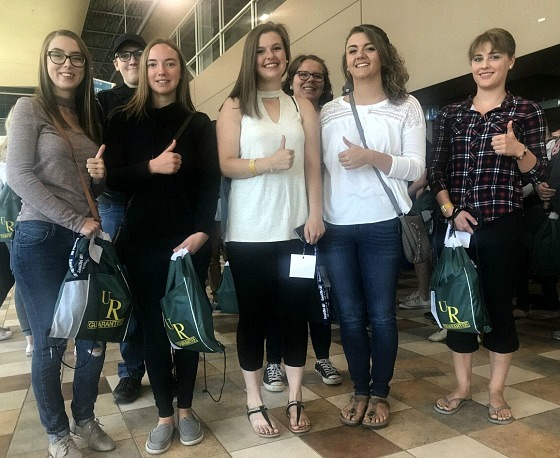 Welcome to the University of Regina!